Many high school students are eager to enter elite schools such as Harvard, Stanford, Princeton and Yale although they don’t actually know how to make their application stand out. 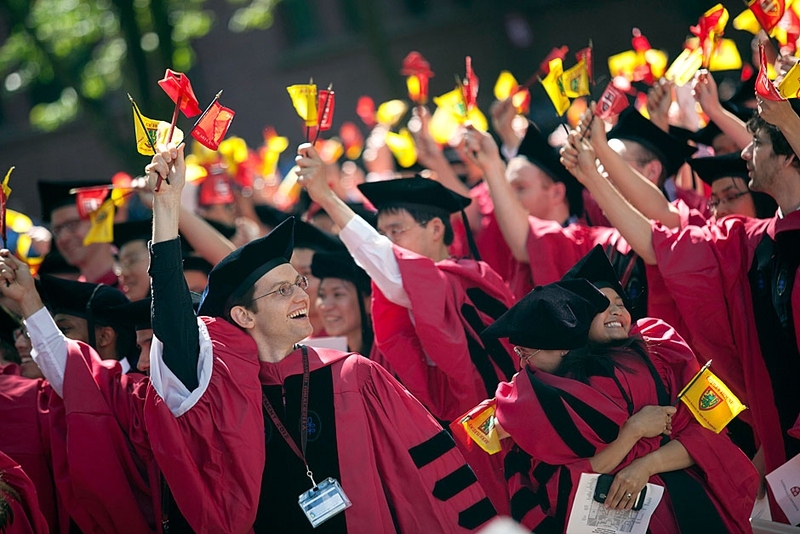 Harvard sees over 20,000 applications yearly so the competition that students face is high. Below are detailed explanations on how to get into Harvard to start your amazing college life. Having a high GPA will increase your chances of being accepted into Harvard. To be taken seriously, try to fall within the 10-15% range in your class. If your GPA falls below this range then make sure that other things in your application are impressive and makes up for the discrepancies. Having top grades tells an admission officer that you work extremely hard and will be able to withstand the pressures and perform up to the standards set by Harvard. Although you may have subjects where you do exceptionally well and others where you are weaker, you should aim to show that in all subjects, you have to try your best. Try not to be discouraged by a low GPA, instead just work harder. Admission officers will be impressed if there is an improvement in your grades from your freshman year till the time you apply. If your grades were low to a personal issue then make sure you talk about it in your essay. But don’t worry too much about being well-rounded, when thinking about how to get into Harvard, what you need to focus on is developing a huge spike instead. Harvard looks for students who can change the world and influence people. Being a well-rounded person is great but being known for one thing that you’re good at is what ultimately sets you apart from other people. Spike requires you to be consistent in your efforts and also disciplined and passionate in order to excel and grow. There are different forms of spike: if you’re a dentist, it may mean performing dental surgeries for many people. If you’re an illustrator, it may mean drawing things and creating interesting visuals for people. If you’re a scientist, it may mean finding new developments from research you’ve carried out. So in essence, Harvard are really looking for people who make a great impression on the lives of others. Aim for a great score but be content with a good score. Also don’t take the SAT or ACT more than twice, especially without strides of 100+, as this just makes you look desperate and incapable of getting top grades. Another thing you can do is to take your exams early. There are exams you can do in middle school, your freshman year and also in your sophomore year. The results will not be put on your permanent record and Harvard won’t penalize you for scoring a relatively low grade in your freshman year. Doing your SATs early is a good way to practice. Visiting the Harvard campus shows that you are very interested in the school. It can also help you decide whether or not it would be a right fit for you, because you get to speak to existing students and find out more information that you would do online. Sit in on some of the lectures, check out student dorms and halls of residence and also do not forget to sign in. Admission officers keep track of students who demonstrate an interest in the school. This can help things work in your favor. What kind of person are you at the moment? What kind of person would you like to be in 10 years? How open can you be when faced with new ideas and new people? It is absolutely fine if you do not get into Harvard, so don’t beat yourself up about it. Plenty of students who go to schools like Harvard or Yale end up doing nothing afterwards and people who go to other schools turn out to be very successful. Going to top schools like the ones mentioned above really doesn’t guarantee success. Success is up to you and not the environment you are in.